Discussion in 'Events and Activities' started by Teresa, Nov 19, 2014. Christmas Reflections on the lake in DeFuniak Springs opens Friday, Nov. 28! 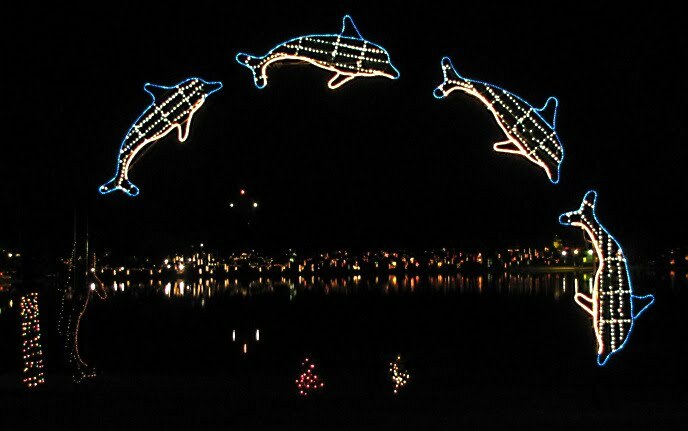 The Nights of a Million Lights is back to dazzle and delight the young and the young at heart each evening starting at 5 p.m.
Christmas Reflections, an amazing spectacle of light held in the DeFuniak Springs Lakeyard, has become such a holiday must-see that it draws people from Georgia, Alabama and all across the Florida Panhandle. The dazzling display is shown to its best advantage across the calm waters of Lake DeFuniak. The reflection of all those lights as they flicker across the water is a sight you’ll never forget and something you’ll want to see again and again. Christmas Reflections is open every evening from 5 – 9 p.m. from Nov 28 through New Year’s Eve. Don’t miss this beautiful panorama of color and light. DeFuniak Springs is located at the junction of Interstate 10, U.S. 331 and U.S. 90. Just follow the candy cane signs to Christmas Reflections in downtown DeFuniak Springs. Admission is still only $3 per person. Horse drawn carriage rides available at additional cost.